Some elevated seismicity was recorded at the volcano during recent days and continues. This includes phases of harmonic tremor and long-period events. Seismic activity has returned to normal (low) levels. Seismic activity has generally remained weak recently. Weak continuous volcanic tremor has slightly increased during the past days at the volcano. Numerous small volcanic earthquakes have merged into weak continuous volcanic tremor. Seismic activity has generally remained low over the past weeks. A phase of more frequent small volcanic earthquakes and some tremor occurred yesterday and has eased again. A phase of stronger tremor has occurred today. At the moment and during the past days, seismicity has remained low. Seismic activity has decreased. The large signal is the recent 4.3 quake off the west coast of Nicaragua. 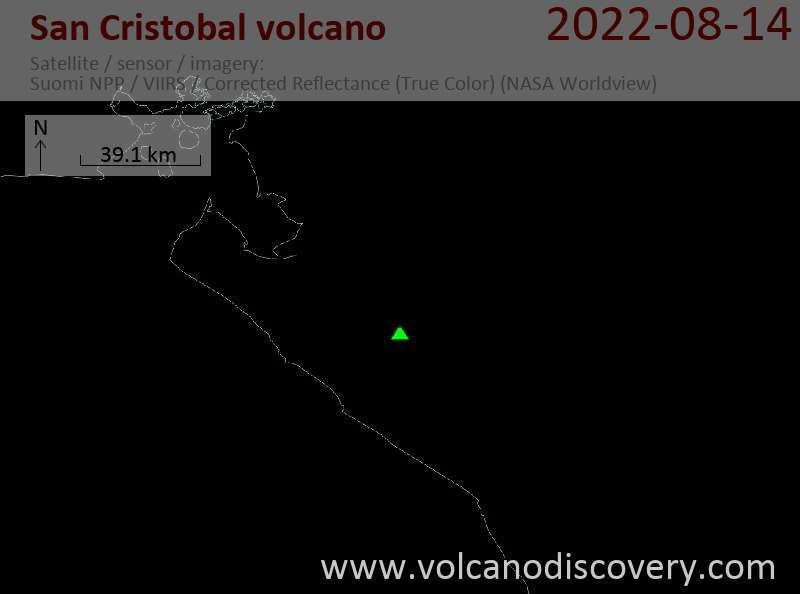 Banded volcanic tremor and some higher magnitude volcanic earthquakes have returned to show up on the seismic records. Similar earthquakes appear to be returning to their background level at nearby Telica volcano, while volcanic earthquakes, normally frequent at Concepcion remain sparse. Surface activity and tremor remain low, but there has been an increase in small volcanic quakes. There are no reports about other unusual activity at the volcano. The tremor pulses have stopped. Seismic activity has decreased again. Intermittent phases of continuous volcanic tremor have started to appear at the volcano. There are no reports of new activity at the surface. Numerous tiny volcanic earthquakes and weak volcanic tremor reflect internal unrest. Volcanic earthquakes and low-level volcanic tremor continue at fluctuating levels within the volcano. After a decrease yesterday, seismic activity reflecting internal unrest has increased today again. Volcanic earthquakes continue to diminish in number and amplitude.